The "Balinese" is not actually from Bali or any part of Indonesia. 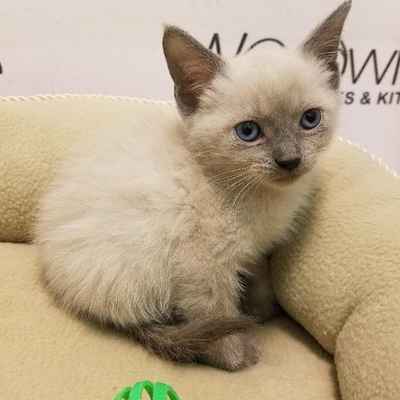 Its history begins with the first Siamese cats that were imported from Thailand to the U.S. and UK in the mid-1800s, some of whom carried the recessive long-haired gene. The Balinese breed subsequently originated from deliberate breeding efforts based around this naturally expressed genetic trait. 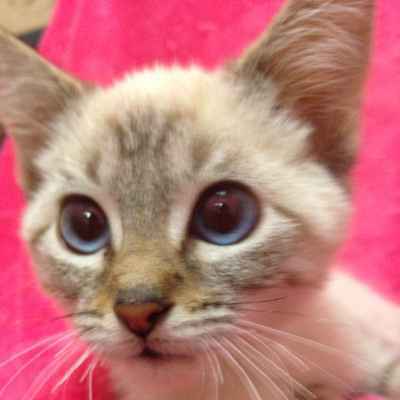 Initially, occasional long-haired kittens in Siamese litters were considered a fault in the bloodlines and sold exclusively as pets. There are records of these cats as early as the 1920s; "Long-haired Siamese" were first registered as show cats with the American Cat Fanciers Federation (CFF) in 1928. In the mid-1950s, breeders in the US began serious efforts to develop the long-haired variant as a separate breed. 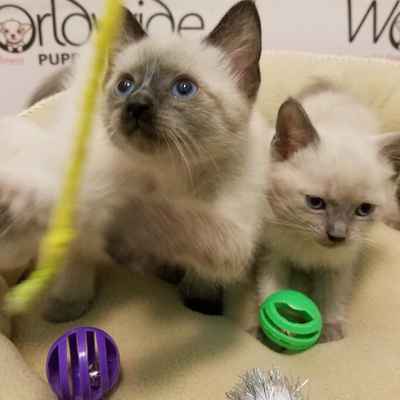 Considering Long-haired Siamese too cumbersome a name, initial breeder Helen Smith dubbed the new breed "Balinese" as a reference to the grace of Balinese dancers. A breeder named Sylvia Holland worked to further establish the breed standard in the 1960s and 1970s. She recognized only cats showing the classic Siamese points in seal, chocolate, blue and lilac as true Balinese, refusing to accept others on the grounds that they had likely originated from crosses with other breeds. The American Cat Fanciers' Association (CFA) had meanwhile officially classified Siamese with the newer red and cream as well as lynx (tabby) and tortoiseshell (or "tortie") patterned points as a separate breed, the Colourpoint Shorthair, and the long-haired cats derived from these colors and patterns were subsequently likewise classified separately as "Javanese", in keeping with the Indonesian island theme. Sylvia Holland's Balinese kittens, circa 1971 Like their Siamese ancestors, the Balinese gradually split into two separate varieties based on physical type The traditional Siamese (also called old-style or "apple-head", now being separately developed as the Thai), was the type in vogue when the Balinese was established, and hence used in its development; these old-style Balinese still closely resemble those from the early breeding programs. As the parent short-haired Siamese gained in popularity, however, a trend developed in favor of a more extremely elongated, slender type with a distinctively wedge-shaped head. The modern (or "contemporary") Balinese was subsequently derived directly from this newer Siamese ideal. By the mid-1980s, the old-style Balinese, like their Siamese counterparts, had disappeared from most cat shows, with the exception of a few breeders who maintained the original Balinese type. The two varieties of Balinese thus have very few if any recent ancestors in common. The Balinese is a long-haired breed of domestic cat with Siamese-style point coloration and sapphire-blue eyes. The Balinese is also known as the purebred long-haired Siamese, since it originated as a natural mutation of that breed, and hence is essentially the same cat with a medium-length silky coat and a distinctively plumed tail. As is the case with their short-haired counterparts, a genetic distinction is made between traditional or "old-style" and modern body types. In the American standard, colour variants derived from the Colourpoint Shorthair are further considered a separate breed, known as the Javanese. There is no particular connection between these cats and the Indonesian islands of Bali and Java, from which they derive their names. Like their Siamese ancestors, Balinese are sociable, vocal, playful and inquisitive, and considered among the most intelligent of all long-haired breeds.